The client base of Apple app store may be somewhat less yet it has a refined set of users. The current stats of iPhone application is 2 million applications and still growing. It is as yet the second biggest store globally. The users of Apple are sophisticated and to keep up the quality the Apple has set out a portion of the stringent rules to comply with for maintaining the standards and keeping the users happy with what they are using. Those applications which pass these standards also sometimes neglect to get the correct audience for their application and goes unseen. Well, organizations are always on the roll to utilize an expanded client base and iOS users always have an open mindset to try something new. Well, in such a scenario, a market study of which kind of audience will really be keen on utilizing an iPhone application would really be useful. Let's see what type of people are included in this category to target. These are the category of people who might be the source of income for you. These are the users who are ready to utilize the new things and if they are good, they would be willing to pay despite the cost. These are the set of people who explore distinctive applications and settle with the best one. Thus, by focusing on this group of audience, you have two opportunities. The first opportunity is to attract the user and invite them to try your application. The second one is to develop the best thing with the goal that they became the permanent users and you can get some cash inflow. The Apple lovers use Apple devices with satisfaction. They cherish the brand and its exclusive usage fulfill them truly. They will fall for the applications which are available only for the iPhone. They won't be interested in purchasing any in-application or any add-on, however, if it is an exclusive iPhone application, they will use it permanently. Hence, this is the people who should be focusing highly on. These are the kind of audience who fall for the looks, structure, and visual appeal of the application. Hence, make your iPhone application look beautiful to catch these users attention. They utilize iPhone application for the faultless performance and if your application complies with the look criteria, bang on you have a lot of sophisticated user base for your application. 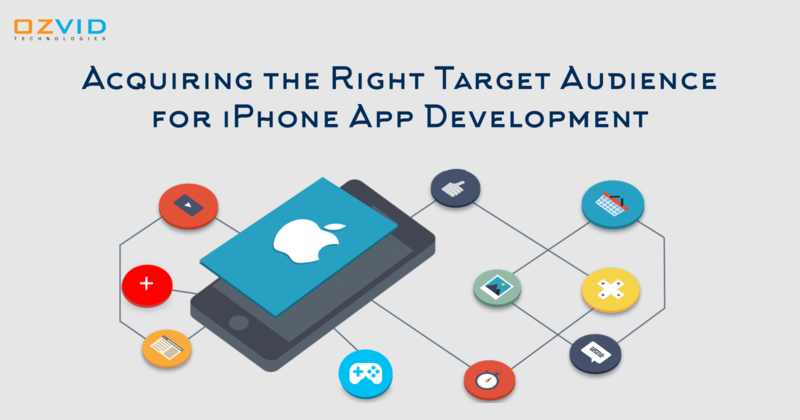 How to Acquire iPhone App Users? The most important thing you have to deal with is the quality of the application. Apple users are about the style statement and sophistication. Thus, if you are targeting them, you must be quality conscious. Let's jot down some more points that can help you to acquire the users and increase them. We do not need to follow them yet simply watch out for them is all you got to do. Are there any strategies they are following that have worked for them? Are there any innovations they have attempted recently? Watch them like a hawk, ditch the negatives and follow the positives. Hold the hands of the trends and you will survive, abandon them and you will be left lonely. Your application should be in total sync with the latest technologies and trends. Users are going to get hooked only to the trending applications and not with the outdated ones. The market study is one such continuous thing you ought to never end while you are indulged iPhone application development. You should know of the age group of people who might be using your application, the gender of the users, timings of the app usage, and such other things. What Make Mobile Apps Better Than Mobile Website? Why Choose NodeJS for Web App Development? 5 Awesome Tips To Improve Your Web Development Skills!